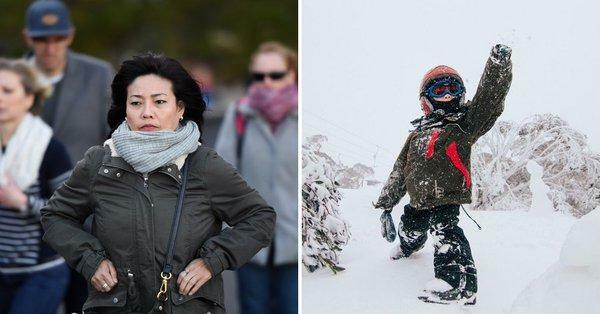 People living in South Australia should brace themselves as they will be hit with the coldest weather conditions in two years, with rainfall as well as an expected push of polar air stretching across the south-east. The chill residents will experience today is due to a “vigorous cold front” that will bring intense winds of up to 90 km/h and the possibility of thunderstorms. A severe warning, in fact, has been issued by the Bureau of Meteorology for lower parts of the state, including Adelaide. The advisory urges residents to prepare for the possibility of damaging wind gusts. Local authorities have already started sandbagging efforts to prepare for the possibility of any wild weather across Adelaide. They are also on standby to assist residents. It is expected that up to 15mm of rain could fall across the South Australian capital today and will continue until tomorrow, before the cold front starts to surge across Victoria and New South Wales, too. David O’ Shannesy from the South Australian SES gives the assurance, however, that volunteers are well-prepared to manage the wild weather. The state control center is ready as well. O’ Shannesy also advised residents to move their vehicles under cover to avoid possible damage and to stay away from any fallen trees. He also said that people should not walk, ride or drive through any floodwater. Severe weather warnings are also in place for Victoria and New South Wales. There’s also a forecast that Tasmania may experience rainfall as brought by the cold front. In alpine areas, including around Canberra and the New South Wales snowy mountains region, strong winds from the cold front are poised to develop into blizzard-like conditions as snow falls and temperatures plummet. States and cities not affected by the polar chill will enjoy warm and sunny weather into the weekend. Other advisories related to the expected severe weather are being issued as well. While some are good-naturedly making light of the state of the weather in the country. And then there are the doubters. Remember People…. It was GLOBAL WARMING in 1996 and DOWN UNDER was to become a baron desert from end to end by 2020, absent of all living animals. The 10 Southern Ski Resorts would be gone. Google "global warming case study australia" and use a custom date range of 1990-2000. Read and enjoy laughing or screaming how the Liberals played the world for $$$$ BILLIONS $$$$ using the Global Warming Hoax for Political, $$$ and controlling gains.